Over a decade ago I purchased a house that was built in 1967 and was in need of serious updating. The kitchen was a small U-shaped kitchen with a window behind the sink and wall behind the cook top. To make the space appear more open, I wanted to install a tile mural behind the range. My search began. I visited every tile store in my County only to find that none of the stores offered tile murals. My next approach was to use the power of the internet. Again, my searches were in vain. I could not find a company that sold tile murals. Being determined to get what I wanted, I decided to make my own tile mural. I was lucky enough to know someone that had a ceramic kiln and so I purchased the materials I needed to make my tile mural backsplash and she fired the designed tiles in her kiln for me. During all this I kept thinking that I could not be the only person who wanted to liven up their kitchen with a tile mural. 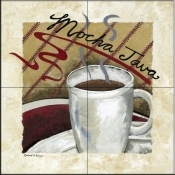 So, starting with just about 100 designs, I began a website called Picture This Tile Designs and offered tile murals. The response was almost immediate! Picture This Tile Designs became The Tile Mural Store. I chose the name The Tile Mural Store because, after all, that is what I specialize in – tile murals and accent tiles for kitchen backsplashes and bathroom tile designs for tub and shower surrounds. 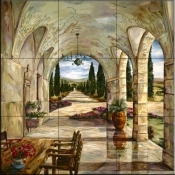 Today, The Tile Mural Store, offers more than anyone else selling tile murals. The Tile Mural Store is the only company to offer both kiln fired tile murals and tile murals made from the digital scans of original artworks. 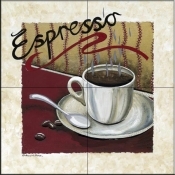 The Tile Mural Store has the largest selection of designs – I have over 2000 designs to choose from. There is something for everyone on the website and if you don’t see exactly what you are looking for – just ask and I’ll do my very best to find the perfect tile mural for you and your home. Also, The Tile Mural Store gives you more tile types and size choices than anyone. We are simply the best at what we do because we have been doing it longer than any other company out there and because as the owner and founder of the company, I care about your satisfaction. 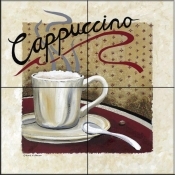 When you contact The Tile Mural Store you will speak with me. My name is Toni. I am here to assist in any way that I can. Although I run a company that receives thousands of visitors each month, I am never too busy to help you in answering any questions you may have about the tile murals I offer. I stand behind every tile that I make and I would never expect you to install a tile mural that I would not install in my own home. I am a perfectionist when it comes to the tiles I produce. So, thank you for visiting my store today and thank you for taking the time to read about me and my company. When you decide to purchase a tile mural be sure to choose from someone that has years (not months) of experience; someone that is accessible to you by phone and e-mail; someone that has YOUR best interest in mind. If I can be of assistance in any way please do not hesitate to contact me. 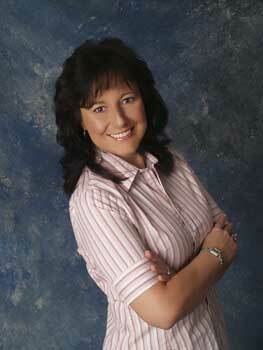 My personal cell phone number is 727-742-7719. If I'm not already on the phone helping someone when you call, I'll be sure to answer promptly. If I am currently assisting someone, please do leave me a message and I'll return your call within minutes, not days. It is my priority to afford YOU with a positive experience. And by the way - if you have a moment, take a look at the Gallery page to see what other customers have done with their tiles. You'll be inspired!